The U.S. men's national soccer team will host Brazil in friendly at Gillette Stadium on September 8, according to a report from the Boston Globe. The game will be confirmed soon, according to the Globe's report. A spokesperson for U.S. Soccer declined to comment on the report, according to prosoccertalk.com. The U.S. is 0-8 against Brazil since 2000, and 1-16 overall since 1930. In the last contest between the two countries, Brazil won 4-1 at FedEx Field in 2012. Though they have never really been competitive with Brazil, U.S. soccer has recently gained more respect. The women's team defeated Japan 5-2 in this year's women's World Cup, and the men's team advanced to the Round of 16 in the 2014 World Cup. 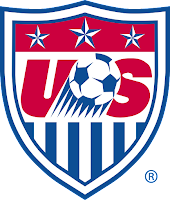 The USMNT also just advanced to the quarterfinals of the 2015 CONCACAF Gold Cup two years removed from winning the tournament in 2013. The U.S. is improving on the pitch, and they'll get a chance to prove it against one of the top teams in the world in September.